I wrote this yesterday right after getting off the phone with the newly confirmed director of VA Vocational Rehabilitation & Employment (VR&E) program Will Streitberger. For readers interested in the VR&E program, potential appeals, and next steps, you may want to keep reading. As a stakeholder in VR&E (I am a veterans rights attorney), I periodically help VR&E give feedback to program leaders and new Vocational Rehabilitation Counselors at training events or conference calls about my experience representing veterans wrongly denied benefits. My conversations with VR&E leadership started in 2011 with former director Ruth Fanning and have continued since that time. Mr. Streitberger was recently selected to serve as the director of VR&E rather than just the acting director filling someone else’s shoes while Secretary Robert Wilkie shopped around for a full-time replacement. The good news is Mr. Streitberger is a program insider who has worked within VR&E for many years before being appointed to run the show. He also served in leadership within a few Regional Offices, which lends to his depth of understanding as to how the overall system works within the context if Veterans Benefits Administration. I have always supported the agency picking leadership from within the program like Ruth Fanning rather than someone without any experience with VR&E, so this is a good sign. He worked as an employment coordinator before being promoted into leadership. The new VR&E Service director hails from Portland, where Mr. Streitberger recently served as director of the RO – – that is the same office, circa 2009, that approved me for law school back in the day when I helped CBS Evening News with Katie Couric investigated VR&E. I loved Portland back then. William Streitberger was appointed Director of the Portland and Anchorage Regional Offices in May 2016. As Director, Mr. Streitberger is responsible for administering roughly $115,000,000 per month in compensation and pension benefits to approximately 91,000 Veterans and their dependents living in the states of Oregon and Alaska. 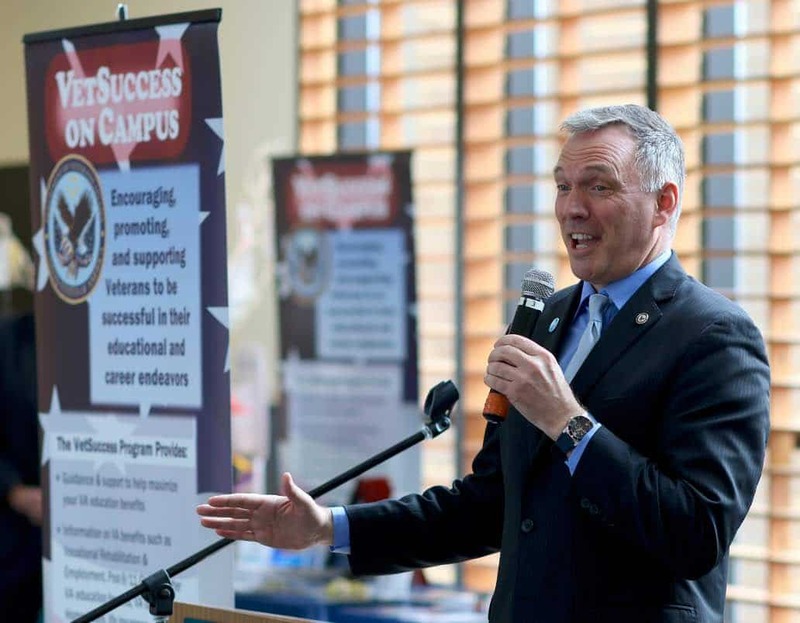 He is also responsible for providing Vocational Rehabilitation Services, placement assistance and Independent Living Services to the disabled Veteran population of Alaska, Oregon, and 5 counties in Southwest Washington. Prior to this appointment, Mr. Streitberger was the Director of the Hartford Regional Office from December 2013 to May 2016. He was also previously the Deputy Director for the VBA Operations Center, where he was responsible for leading the business-operating model to support the implementation and sustainment of VBA Transformation Initiatives effecting People, Process, and Technology. Before starting his VA career in 2002 as an Employment Coordinator at the Chicago VA Regional Office, Mr. Streitberger served in the Navy from 1986 to 1995. He was recognized as the Sailor of the Year in 1990 at the Naval Security Group in San Vito, Italy, and as Recruiter of the Year in 1992 at the Naval Recruiting District in Chicago. The overall aim of appeals modernization is to help veterans move through the appellate process quicker than in the past. Present appellant timeframes range from 3-5 years, which makes an appeal unappealing for many veterans since a lack of VR&E support for retraining into a suitable career is the difference between feeding your kids or being homeless. For some context, certain Vocational Rehabilitation Counselors used the lengthy and confusing VR&E appeals process as leverage to pressure desperate veterans into agreeing to substandard training plans. By removing the lengthy delays in appellant timeframes, VR&E is also removing the ability to inappropriately pressure veterans this way. The following lane system is similar to disability compensation appeals and intended to be finalized by February 2019 – – These are not finalized and I am sure my notes on these are not inclusive of every detail of each, but I wanted to give you a heads up. For the past two years, I have dogged VR&E into providing formal hearings at the Regional Office (RO) prior to certifying appeals to the Board of Veterans Appeals. Again, appeals to the Board can take 3-5 years, so shooting for a quicker fix using other review tools is a better option. VR&E has repeatedly acknowledged my appellate work in helping leadership respond quicker to problems adjudicating denial (i.e. I pestered them with appeal after appeal). One example is the agency’s development of the new VA Form 4107VRE. The stakeholder meetings I had with former director Jack Kammerer resulted in that form’s development and publication last February. The inclusion of formal hearings at the RO prior to a Board appeal is also part of that same vein of pressure, and it helps veterans create a transcript record prior to the claim moving out of the RO. I would not call it one of my biggest wins, but it’s the formal hearing option should help a lot of veterans down the road. VA is also developing a new form to initiate the appellate process that encompasses all benefits. Presently, VR&E does not have a formal form like disability compensation, which has resulted in some confusion between counselors and veterans. For a little while, VR&E counselors told veterans to use the disability compensation 21-0958 until I started demanding VR&E provide Decision Review Officer hearings listed on the form. After I pushed the issue for a year, VR&E came up with the 4107VRE that reminded counselors that veterans do not need to submit a form to initiate the appellate process. 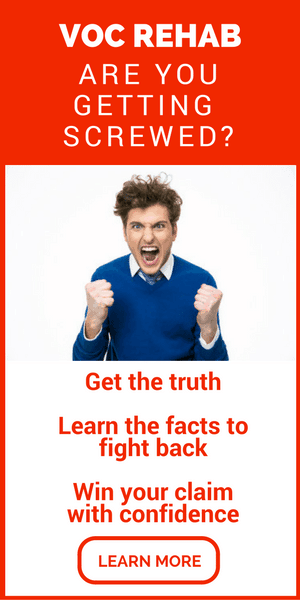 The new VA appellate form is intended to encompass all veterans claims to avoid confusion. The program is also finalization its digital file keeping system to help streamline management of cases and avoid issues related to missing records and potential fraud. For the past 4 years, VR&E struggled to create a digital system that worked properly, wasting $12 million and 4 years. Congress hammered the program over the failure, shortly after which time Mr. Streitberger took over as the then acting director. Apparently, Secretary Wilkie likes the job he was doing and gave him the nod to run the program until further notice. So far so good from my perspective. At the end of the call, I planted the seed for his team to take a renewed look at Serious Employment Handicaps and requirements related to advanced training like medical school or other graduate-level training programs. I talk about these issues on Facebook Live quite a bit in our nearly 30,000 veterans strong group for veterans seeking VR&E benefits. Check out “videos” if you go there. That is all I have to say about the call. I am heading to Denver to investigate a matter and represent a disabled veteran against the agency in a wrongful termination appeal. Denver Channel 9 News may do a story involving a matter I am working on, so with any luck, we will get the word out about problems the agency is experiencing out there. I am publishing a fraud story tomorrow that just broke. Congrats on a victory in your selected area of expertise Ben. The fact you are on a first name basis with this new VA wonderchild is a good sign that a man I suport, you, has difect access now to ears that can effect change. Then as I wander in my mind to the other exhibits in the carnival called VA I am reminded that the bearded lady sells drugs on the side, the friendly clown that makes folks gigle so hard is a pickpocket and accompiished extortionist, and the dogs and ponies running around under the big top would rather bite and kick you than to look at another circus stakeholder. This new cheerleader seems like a groovy pick and I am sure that the future allegations of misconduct and wrongdoing will all turn out to be misunderstandings before they reassign him to some empty warehouse in the midwest to retire after invoking the Fifth to not tell on himself. This man has become VA leadership. Tell me honestly – what does that mean to you? We need just a few more ears that can affect change! Thanks Dennis, you always put a smile on my face with your wit regarding our constant VA hemorrhoids and how they benefits our health. Dennis—-I really enjoyed this! Now I have to stop playing Candyland and work on my next song called carnival. Ok This is all gobble-de-gook to the normal Vet. Exactly what does this mean to a regular Veteran or one coming back with less parts then he went over there with? I have tried to join your Facebook group and it won’t let me. Can you please assist me? 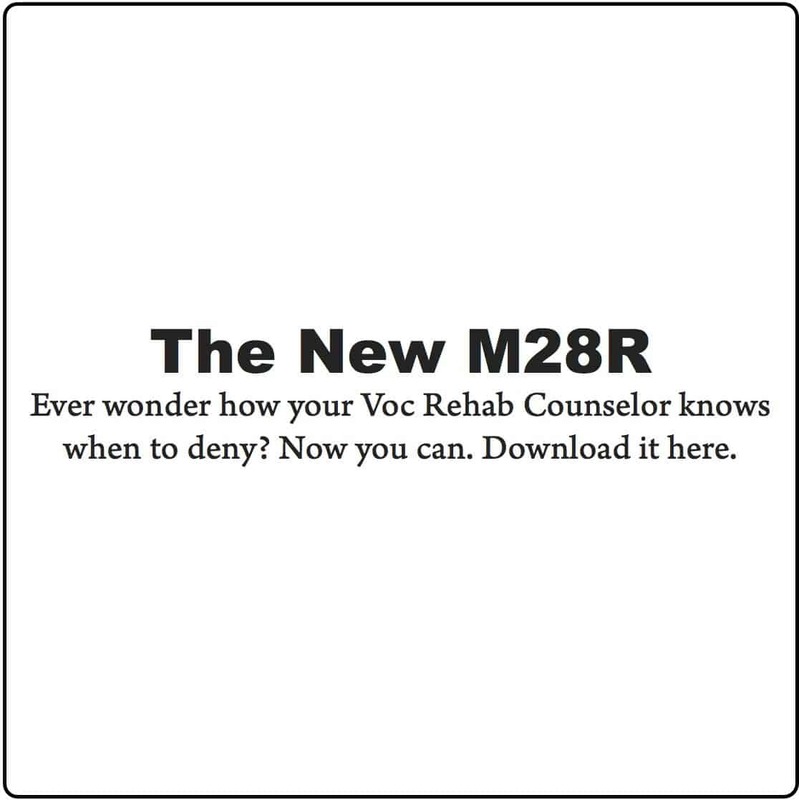 I am a national veterans advocate and also in grad school with Voc Rehab. I could really use the assistance as I near graduation. Congratulations and thank you for the time and effort you have put forth on behalf of the veteran! I’m keeping my hopes up that finally a change is gonna come that will benefit the veteran and create a movement that forces out corruption in the VA. Keep on keeping on. You’re doing a great job Ben and I am glad to be supporting effective leadership with my annual dues. You obviously don’t know Will Streitberger … as a self proclaimed advocate of veterans right, you may want to do some homework … the deep state is healthy and well at the VA … you should know that.